We highly suggest and recommend the Bali Quiz to all of our future clients. We hope that the quiz will be completed prior to contacting us with interest in adopting one of our kittens as it will prove beneficial. 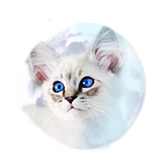 The Bali Quiz should both help you in determining if you are serious in the adoption of a Balinese kitten and in learning more of this beautiful breed. At the very least, the quiz should give more insight on the breed as Balinese are still considered quite rare and uncommon to many in comparison to other breeds that are mere hybrids of the Siamese/Balinese, and not pure breeds in themselves. Click on the correct answer, then check your answer with the "Check Answer" function. Good luck! 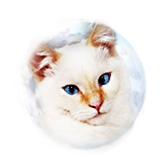 The Balinese cat is about how old since its existence as an “acknowledged” cat breed? 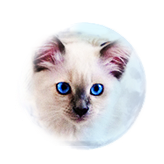 True or False: The Balinese cat, is a mix breed cat of Siamese, Himalayan and Ragdoll descent? 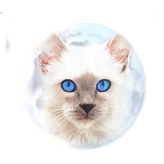 Rated from 1-10 with 10 being the most intelligent and 1 being the least intelligent, Balinese cats have been found to reach which number of intelligence among all the cat breeds? True or False: Balinese cats only come in pointed colors? True or False: Balinese require much grooming and brushing due to them having a medium-long haired coat. 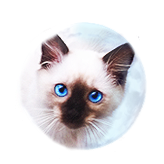 True or False: Balinese cats cause allergies. True or False: Balinese cats are as vocal/Communicative as Siamese cats.